It isn't feasible to turn the vessel into a luxury cruise ship, so a conservancy will work to preserve it. PHILADELPHIA — The SS United States won’t sail again. Earlier this year, a luxury cruise operator and the nonprofit that owns the ship, which has been docked in South Philadelphia for two decades, announced an effort to return the aged ship to its former life as a glamorous ocean liner. 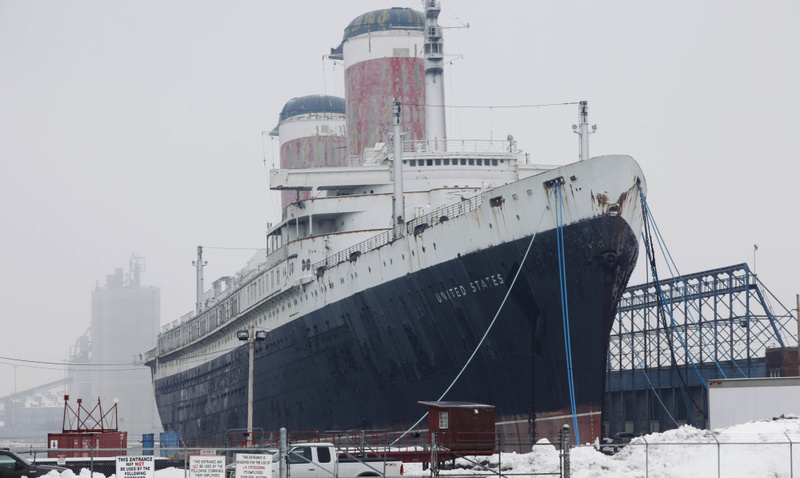 But after a feasibility study, Crystal Cruises and the SS United States Conservancy have determined that refurbishing the ship to sail would be too challenging, the groups said Friday. “Unfortunately, the hurdles that would face us when trying to bring a 65-year-old vessel up to modern safety, design and international regulatory compliance have proven just too great to clear in both a technically and commercially responsible manner,” Crystal President and CEO Edie Rodriguez said in a statement. The organizations had hoped to convert the ship – which was built in the 1950s, became the fastest ocean liner in the world and carried passengers that included Princess Grace of Monaco, former President Harry Truman, future President John F. Kennedy, Marilyn Monroe and Bob Hope – into a modern luxury cruise ship. The evaluation by maritime experts and engineers concluded the ship was structurally sound, but modifying it for such service would require changes to the hull that would create stability challenges. Installing a modern diesel electric propulsion plant would also have required shaft lines to be altered and about 25 percent of the hull to be rebuilt. It has nearly ended up in the scrapyard several times. In 2010, philanthropist H.F. “Gerry” Lenfest donated millions to help the conservancy buy the ship from Norwegian Cruise Line, which had begun accepting bids from scrappers after an effort to sell the vessel was unsuccessful. And last year, the conservancy raised $600,000 just in time to avert a save-it-or-scrap-it deadline and prevent the ship from being junked.